Drone fly (Eristalis tenax) feeding on flowers. 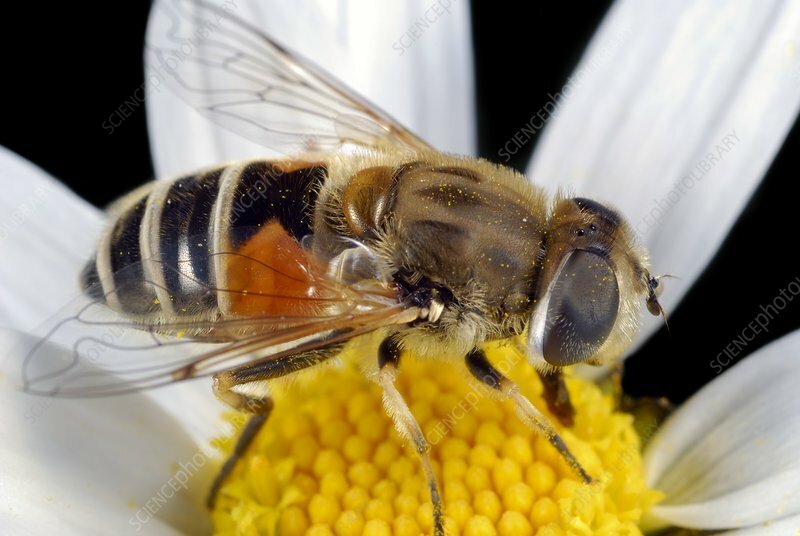 This species of hoverfly is native to Europe but has been introduced to North America, where it is widely established. Photographed in Poland.